I recently explained to a group of governors how they can actively support a school's provision for SEND. It starts with knowing the law and listening to key stakeholders! This week I was fortunate enough to address the University of Manchester’s School Governors Initiative annual conference. As part of the university's strategy for participation and social responsibility, they have developed one of the country’s most extensive programmes of work in local state schools and colleges – particularly those in challenging circumstances. provides a support network for university staff working as governors. I delivered two workshops on the day: one on SEND law, and the other on what governors should know about the roles of key staff. These were attended by 30 governors, mainly academics and university staff with a wider range of experience, who work in local schools. With the two sessions proving thought-provoking, I've outlined below some ways a governor can provide for SEND across the school. It is important that governors understand the duties of the SENCO. A SENCO works with the senior leadership team (SLT) to review and refine SEND provision across the school. They also ensure that classroom teachers can provide for every pupil appropriately. 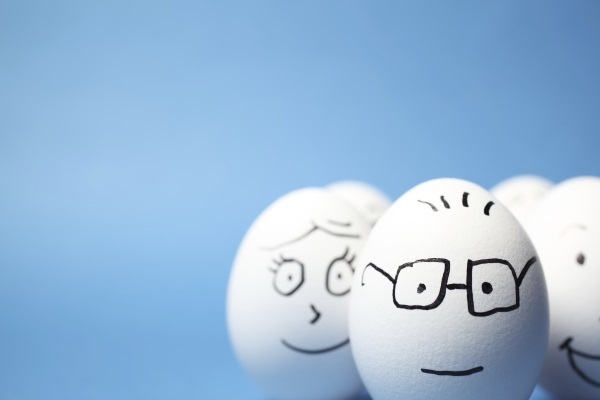 Often the role will prove challenging, and time is by far the SENCO’s most important resource. I ensured that governors at both workshops were made aware of this explicitly. With enough time, the SENCO can cover the day-to-day operation of a school’s provision for SEND, advise on the use of a delegated budget and co-operate with the headteacher and governors on compliance with the Equality Act. Without time, they will simply lurch from day to day, ‘fire-fighting’ as opposed to being strategic. Our previous research with parents and carers has shed light on the number of ways a school can keep families involved in the progress of their child (meeting at least three times a year, for example). Beyond giving the SENCO sufficient time to spin all the plates, governors should facilitate clear lines of communication between schools and families. Every governors meeting is an opportunity to check the pulse of co-production and identify areas where it can be strengthened. I meet every half term with my link governor, who also meets with the faculty’s core members of staff. Involving the designated governor in interviews, open days and other events allows for a critical viewpoint on our engagement with different stakeholders. We make sure that parents, carers and young people know who our SEND governor is, and that they can also discuss any concerns with them directly. Having this ally can be invaluable to the SENCO in these difficult times! While governors should recognise the importance of the SENCO role, it’s also important to acknowledge the broader responsibility headteachers have for implementing the SEND reforms, and for giving the SENCO scope to influence the school’s strategic decisions that pertain to SEND. 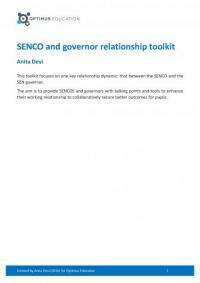 Whatever governors can do to support a strong working relationship between headteacher and SENCO will ultimately benefit the school’s support for all young learners. Is the school responsible for arranging the provision specified in a child's EHCP? No - it's the responsibility of the local authority. If a school cannot meet a child's needs with its own SEN budget, the local authority must arrange the provision. To quote the Education Act 1996: 'the authority shall arrange that the special educational provision specified in the statement is made for the child'. I also stressed to colleagues that a newly-appointed SENCO must be a qualified teacher. If they haven’t previously been a SENCO for at least 12 months, they must complete a National Award in Special Educational Coordination within three years of appointment. Too often our most complex and vulnerable learners are supported by our least qualified staff, which shouldn’t be the case. Governors have a responsibility to hold these new-starters to account. Governing boards of mainstream schools must ensure that a member of staff is designated as the SENCO and appropriately qualified. It’s fair to say that no amount of intervention can compensate for a poor quality of teaching. High quality teaching is the bedrock of any school’s provision for SEND, and developing a robust understanding of pupils’ needs should be a priority of CPD for teachers and teaching assistants. Too often the assessment of individual progress is left to the SENCO exclusively, without the support of the head of maths, a Year 4 teacher or whomever else. Abdicating responsibility for young people simply because they have an EHCP, for example, often lowers aspirations and hampers outcomes. It’s crucial that governors lead calls for an inclusive approach to analysis and assessment. All governor boards have a legal duty with regards to provision for SEND. The Children and Families Act 2014 and SEND Code of Practice, the latter jointly published by the Department for Education and the Department of Health, set out a school’s obligations. There should be an individual on the board or a committee with specific oversight of the school’s arrangements for SEND. Additional legal advice and support can be sought via the links below. Can the school send a child home to ‘cool off’, or ask parents to collect their children from school to prevent exclusion? As stated in the DfE Governance Handbook, governors should ultimately ‘use their best endeavours to make sure that a child with SEND gets the support they need’. Easier said than done, but listening to the SENCO and headteacher will be a great starting point. take a solution-focused approach to the day-to-day challenges of SEND provision. However tough the SENCO role can be – remember the law trumps all!